It took the humility of one man to bring forth God’s glory. Humility is key if we want Revival! Thank God for Moses. It is because of Moses intervention and intersession for the children of Israel that Israel is able to enjoy the benefits of God’s glory. The healing of the land is revival! But it takes God’s people to bring revival. 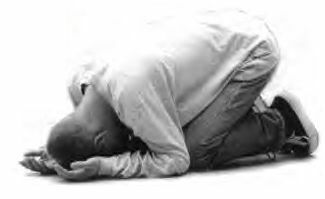 We must humble ourselves before the Lord, we must go after God in worship and pursue loving Him above all things; we must repent from our wicked ways and stop justifying our lack of sanctified lives. We must make up our minds to be holy and live our lives as such. Then and only then can God hear our prayers, forgive us and pour out His glory. It is time for us as God’s people to do our part. We need men at this hour to stand and cry out for the condition of their own hearts, for their families, for their communities, their cities, their nations and for God’s glory to fill the whole earth. One willing heart is all it takes! Could that be you? Could that be me?